It gets hot here in Australia, extremely hot. Our summers are some of the worst for temperature and UV index. Also, the prevention of skin cancer is a really important issue. 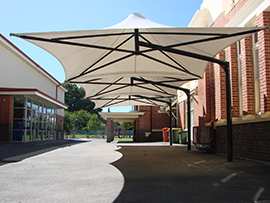 A lot of the time in public parks or school play areas, there is not enough shade for kids or adults to safely enjoy the outdoors. Play equipment becomes too hot to touch and sandpits over heat in the blistering sun. 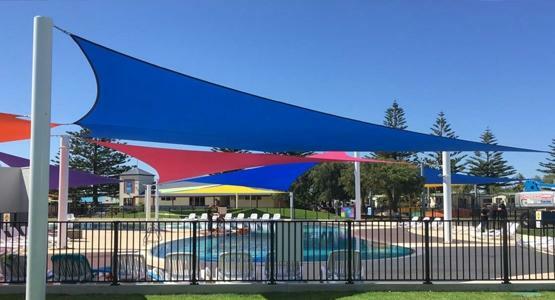 Fortunately one of the simplest and most effective methods for shielding against UV and creating cool environments for all is the installation of shade sails and shade structures. 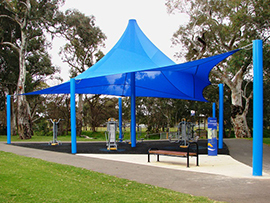 Shade Sails and Shades Structures make ideal cover for play equipment and park areas where weather protection from the sun and rain is important. Some shades are made for schools and park grounds, one of which is made right here at Shadefrom - the Shadeport. 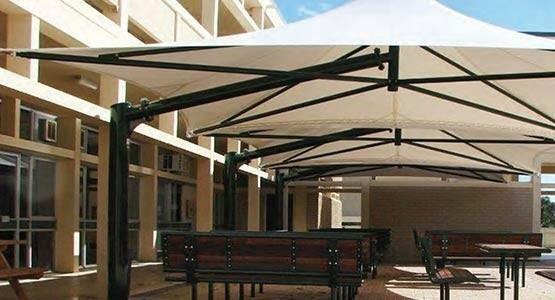 This fantastic shade has many benefits, including minimal maintenance and economical shading. 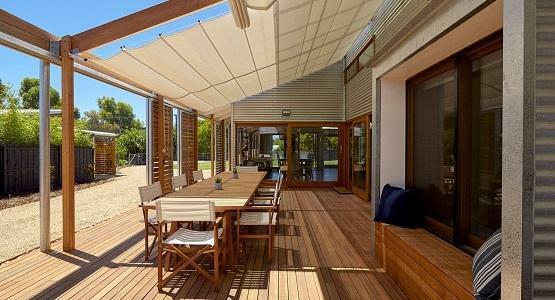 These shades are engineer designed and the unique hip roof makes members minimal and lightweight, but incredibly strong. 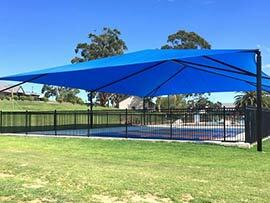 These factors make the Shadeport one of the longest lasting and most economical shades available in Australia today. Ideas for Schools, Councils and Community. 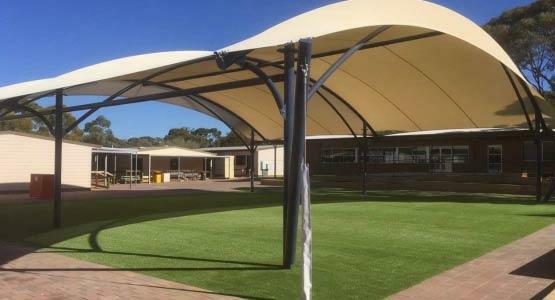 These details, along with all other Department of Education and Child Development Shading requirements[ Government of South Australia - A Building design specifications for SA government schools and preschools - DECD Design Standards - DECD14/5606 ], are required by law. 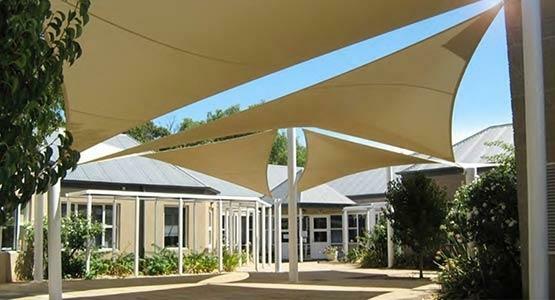 At Shadeform we understand school shading. 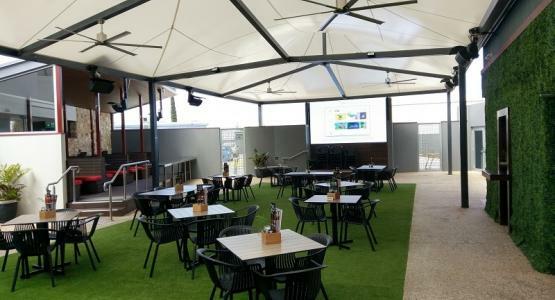 As one of South Australia’s market leaders, you can be rest assured our experience will ensure your project is completed quickly and with minimal fuss. 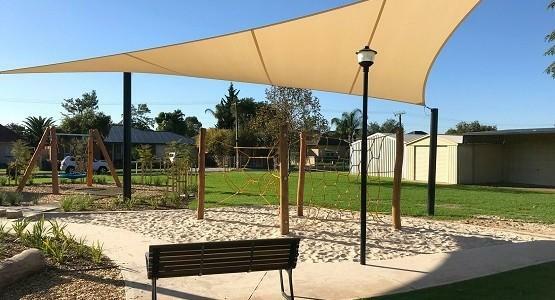 We at Shadeform go the extra mile in ensuring that both kids and adults are fully protected from injury or other dangers such as loose fittings, inadequate sun protection, and collision. At Shadeform we have a wide range of safety avoidance mechanisms including safety pads for posts, and anti vandal collars. Safety and liability are quickly becoming an increasingly crucial issue for businesses and organisations, and so our clients are constantly looking for ways to improve in this area. 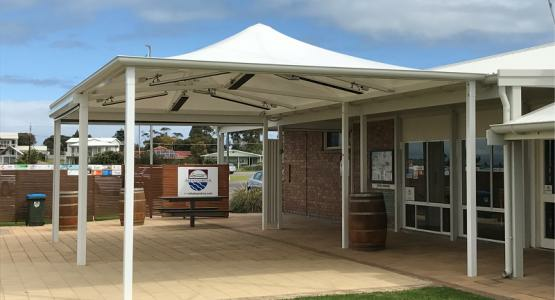 At Shadeform, we have developed a range of sail post safety pads, providing protection against accidental collision with sail posts in public areas. 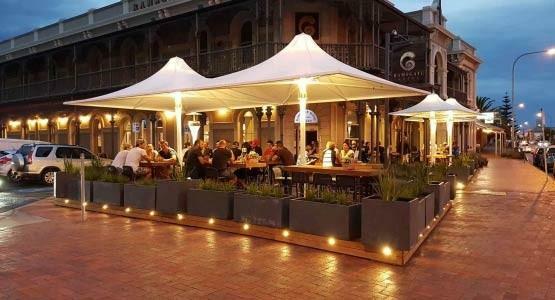 With over 30 years experience, Shadeform offer a wide range of fantastic looking shades that are made to last. 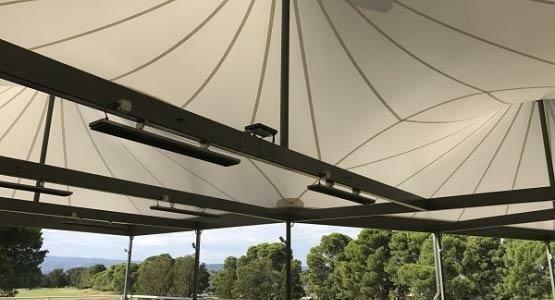 Our expert design, manufacture, and installation team have extensive experience with installations in councils, schools, colleges, and universities. Contact us today to discuss your unique requirements. 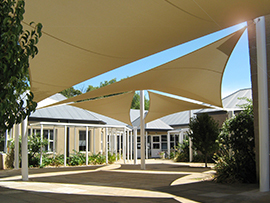 Call Shadeform now on 08 8354 2116 to find out more about our custom shades for schools and communities.